1. Mold cavity from 1 to 48. 2. Adopt imported high-quality mold steel (# P20 steel and #2316 SteelGermany,#718,#s136 and so on). 3. Adopt advanced hot runner system with point to point control system which ensures uniform heating. 4. Each core and cavity adopt independent cooling system, which brings high productivity. 5. Mold cavity is replaceable which is convenient to change the label. 6. At least 3 million shots life-time guaranteed. 7. Electric control system with simulating stretch testing to improve yield rate. 8. The materials of core and cavity are made of mirror corrosion resistance and plastic mold steel imported from Sweden or Germany. 9. International standard screw neck, imported nitride steel with high hardness and long life time. 10. Adopt advanced hot runner system with point to point control system, ensure uniform heating which brings high-quality products. 11. 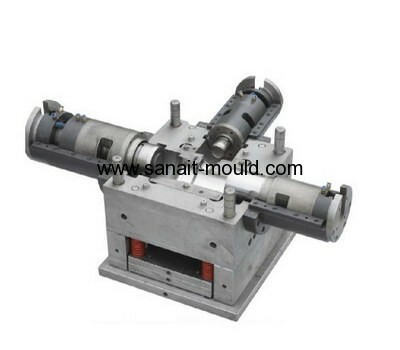 Valves gate mold without tail, reduce the labor force. 12. Spare parts are processed by CNC which ensure the precision. 13. Adopt advanced technique to make each cavity self-lock and ensure mold concentricity (tolerance less than 0.08mm)..